It's the end of October and that means that there are only two months left until the end of the year. Where has all the time gone? This month I didn't read a much as I usually do due to work commitments. I am attempting to find more time to read. If only there were more hours in a day. 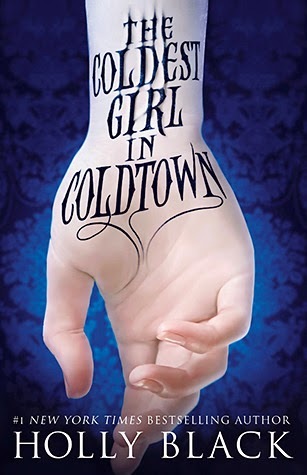 My book of the month is The Coldest Girl in Coldtown by Holly Black. I had a hard time trying to pick a favourite book this month but ultimately I decided to go with this vampire tale. I absolutely loved this book. It was the perfect blend of dark and bloody. An honorary mention to runner up The First Third by Will Kostakis. This book has so much heart and is a must read.